There comes a time in most bride’s wedding planning where a thought crosses her mind: should I just elope? The answer to that is yes! 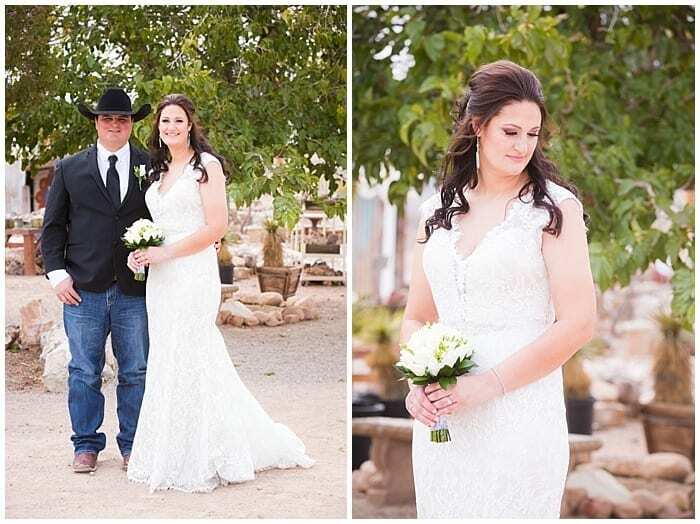 Wedding planning has never been easier with our Las Vegas elopement packages. For example, take long time lovers Caitlin and Elliot. 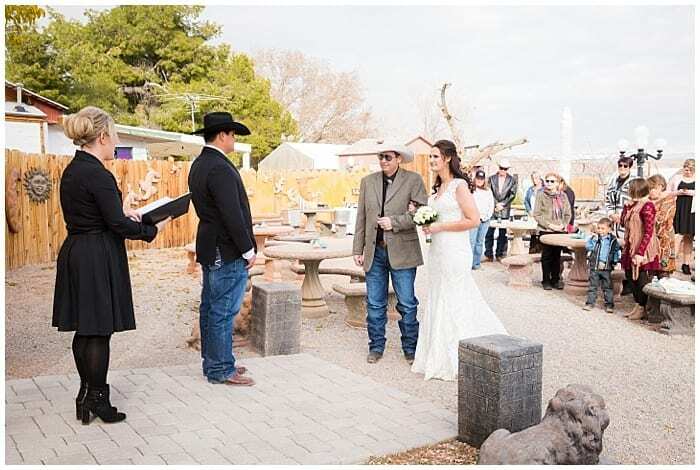 After deciding to take the plunge, they chose Cactus Joe’s as their Las Vegas elopement destination. Of course, they had options in their hometown, but this South Dakota couple wanted to look into offbeat wedding venues. They opted for a not so traditional Vegas wedding. Staying true to their roots and wanting to make the day as special as they are, they chose a small venue, full of rustic charm. They chose to concentrate on having a relaxing wedding at a local treasure. 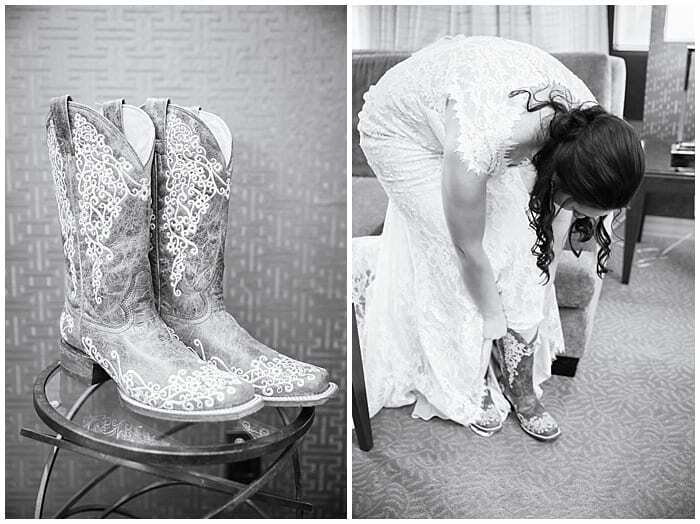 They both knew they wanted a wedding to remember at a destination away from their home state. Elliot had proposed on a romantic weekend getaway to Las Vegas and they decided to return for the wedding. Back home, they could have had a big, traditional church wedding, but that was not their style. They wanted a unique and fun setting that their guests would be as excited about as they are. 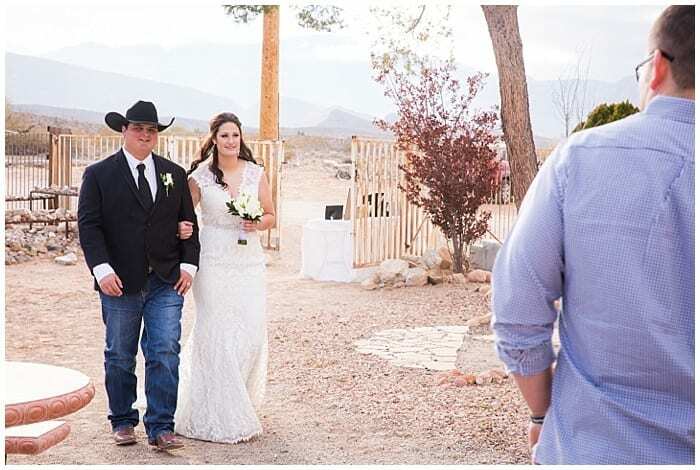 They didn’t want to spend a lot of time looking for a wedding officiant in Las Vegas, but they knew it was important to some of their guests for the wedding to be “church-like”. Cactus Joe’s satisfied this wish and took care of everything in their on-site chapel. It’s all part of Cactus Joe’s Las Vegas elopement packages. The lovers appreciate the natural earthy elements of the Las Vegas valley. One of the reasons they chose Cactus Joe’s is for its charm. Cactus Joe’s is casual, country, rustic, and laid back, just like Caitlin and Elliot. It was a perfect match! One of the biggest things about a wedding is the pictures that will last a lifetime. 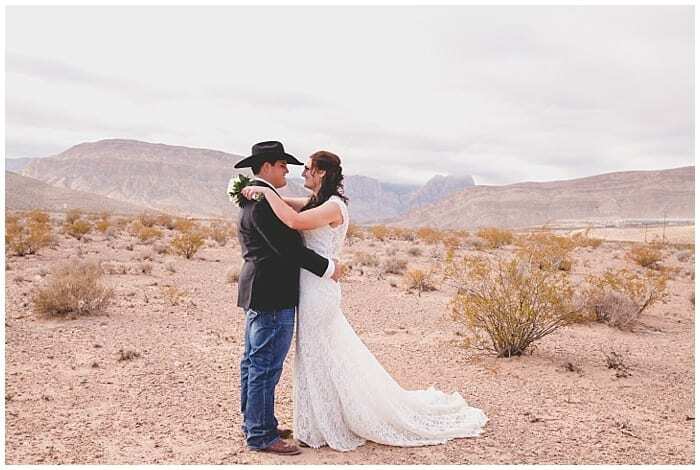 The desert landscape perfectly lent itself to a variety of beautiful backdrops for their big day. Nature’s beauty and the amazing floral built into each scene, made the pictures of the twosome striking and memorable. Each photo is different but showcases the deep love the couple has for each other and the happiness they had that day. The excitement from the guests and the bride and groom can be seen in each photo. From the moment the bride walked down the aisle to when they cut the cake and the last dance, each photo radiates with the happiness from that day. 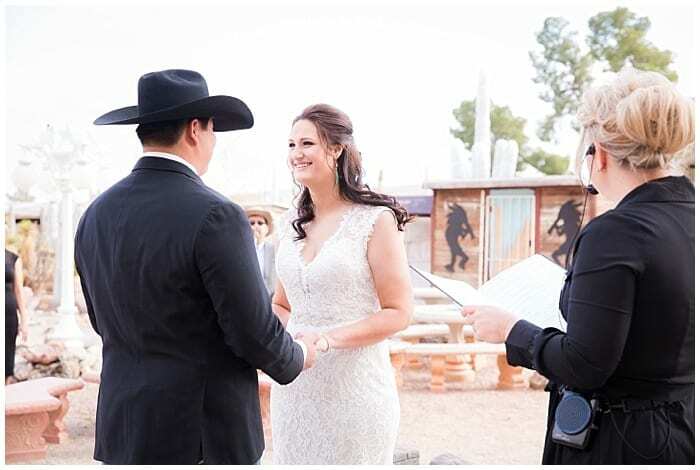 Weddings at Cactus Joe’s take all the stress out of wedding planning and let the happy couple spend time concentrating on what matters: enjoying their big day. Cactus Joe’s has a professional photographer and modern minister on hand. They take care of everything from beginning to end: from a permit for the venue to each picture. What could be better than enjoying your big day against the beautiful backdrop of beautiful floral and natural beauty? Caitlin and Elliot have never been happier and have no regrets about their time in Las Vegas. 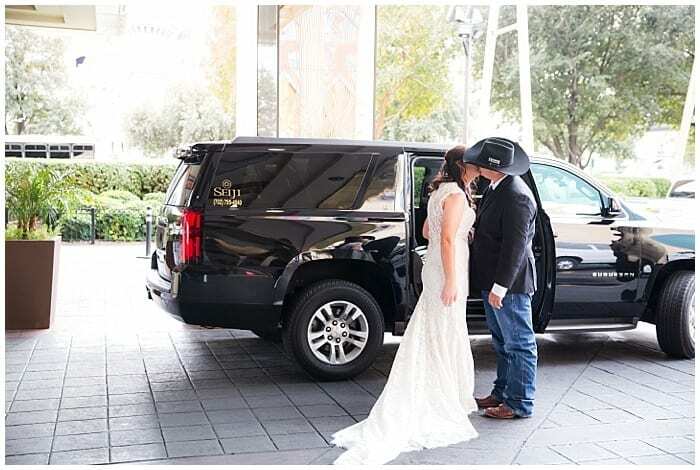 Their guests left the wedding with memories that can never be replaced and with each one, they remember the happy couple and the amazing day they had—all because they decided to elope in Las Vegas. Some guests even are looking into their own Las Vegas elopement packages!